When it comes to skin problems, maybe one of the most embarrassing and annoying blemishes that people have to cope with at some point of their life is pimples. This is the most common skin issue in America. Acne, also known as zits, seem to appear everywhere on the body. According to the British Medical Journal, acne impacts over 80% of teenagers and keeps happening in adult life in about 3% of men and 12% of women. The fact that you are reading this article means you want to know how to more about this condition, particularly how to get rid of pimples, right? Sure, here we from TrueRemedies will uncover the answer for your question, but first of all, you need to know some basics about pimples. Keep reading this article! In the first place, a pimple is considered a small comedone, papule or pustule which forms a skin lesion. In technical terms, it is acne vulgaris. 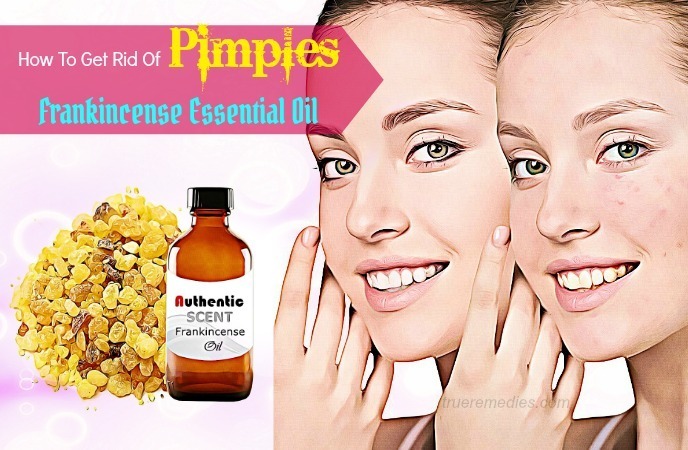 Despite there are a lot of causes of pimples, regardless of those causes, pimples develop when the sebaceous glands (also called as oil glands) are clogged and infected from harmful bacteria. 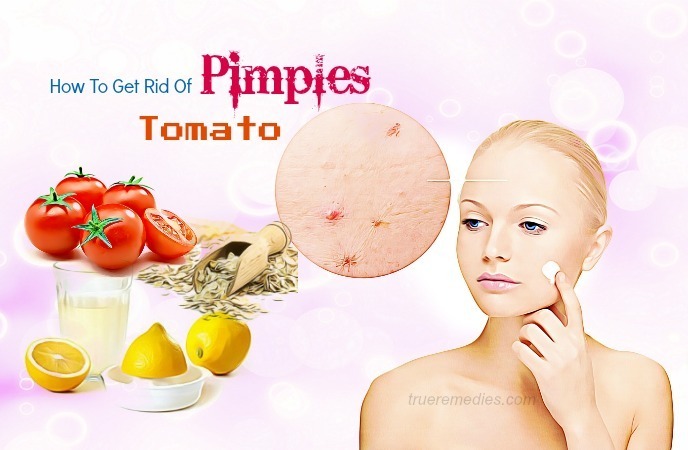 It explains why pimples often swell up and turn into pus-filled and red lesions on and under the skin surface . The majority of people have pimples or acne on their face, but the chest, neck, shoulders and upper back are also commonly impacted. It is estimated that approximately 30% of teenagers suffer from acne which is reckoned severe. For some people, genetics is the main cause and out of their control. When not treated, acne or pimples could lead to scarring, which is more likely when the skin is swollen, flamed, painful and reddish, such as nodules and cystic acne. Basically, this form of acne will penetrate deeply into the human skin, leading to damage. If the sufferer delays the treatment, it might result in scarring too. Usually, acne is classified in 3 levels, which are mild, moderate and severe. Picking at acne will worsen it as it does not have enough required time of healing, which increases inflammation, and thus, potentials of scarring. 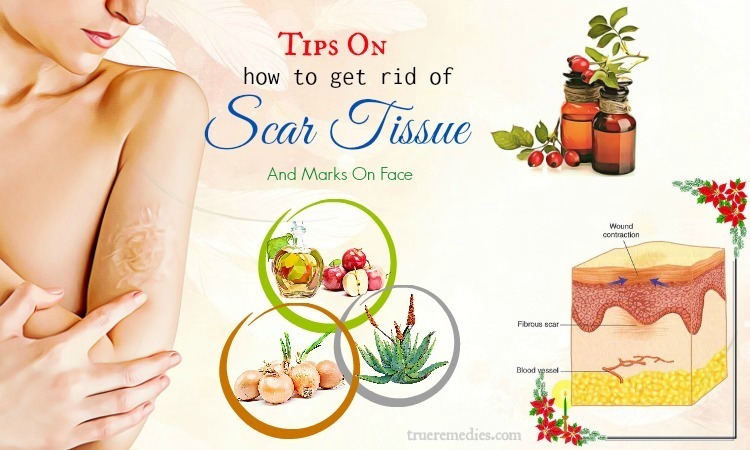 Besides, waiting to treat pimples and acne till it gets severe could cause extensive scarring; therefore, it is best to deal with it as soon as possible. What Are Causes Of Pimples? To control pimples effectively, it is important to acknowledge how they form and what causes them. The most important thing about pimples you need to remember is: it is not your fault. In contrast to popular belief, pimples or zits are not caused by external factors like what you eat, how often you cleanse your face or exercise. Actually, they are mainly caused by a combination of physiological factors far beneath the surface of the skin which are beyond of the human control. The sebum amount produced on your skin which is impacted by your hormone balance and often in flux, particularly for women. Genetics may play an big role in the development as well as persistence of zits, so the history of family could give you an idea of how likely it is that you will have pimples  . Hormones: for most people with pimples and blemishes, skin problems begin at puberty, when their bodies start to product hormones named androgens. Such hormones cause the sebaceous glands to enlarge, which is also a natural part of the development of the human body. In sufferers of pimples, nonetheless, the sebaceous glands are often over-stimulated by the hormones androgens, which sometimes could persist well into the adulthood. Also, androgens are responsible for pimple flare-ups during the menstrual cycle and pregnancy for some women. Extra sebum: as the sebaceous glands get stimulated by the androgens, it will produce additional oil (sebum). When the sebum gets closely onto the skin pores, it will mix with some common skin bacteria as well as dead skin cells. This process is normal but the presence of extra oil in the follicle will increase the risk of clogging pores, causing pimples. 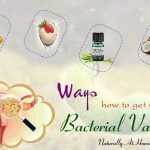 Bacteria: bacteria are available in different skin types. It is a normal part of the natural oil maintenance system of the skin. But, when a follicle is plugged, acne bacteria will multiply quickly, thereby creating the chemical reaction causing inflammation both in the follicle and the surrounding skin. Follicle fallout: the dead skin cells in follicles often shed steadily and are dislodged on the surface of our skin. In those with over-active sebaceous glands, those cells will be shred more quickly. When this occurs, dead skin cells will mix with excess oil and build a plug in the follicles, thereby preventing the skin from completing its natural renewing process. Inflammation: when the human body gets in contact with some unwanted bacteria, it will send some white blood cells to attack those intruders. The process if called inflammatory response or chemotaxis. This response makes pimples swollen, red and painful. Also, this process is different for each of us. 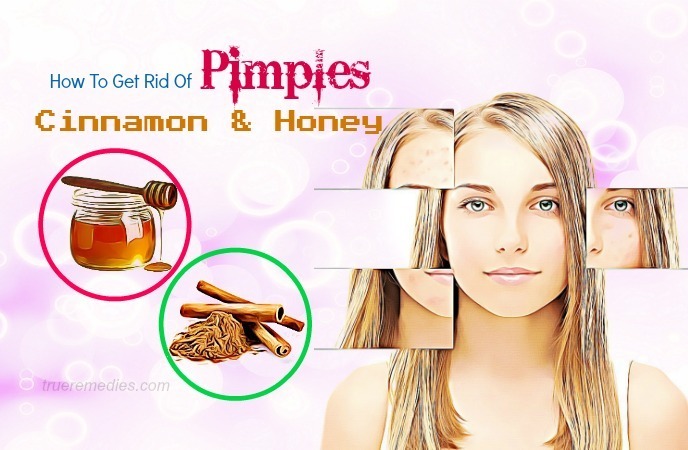 If you have apple cider vinegar in your kitchen, you are having the perfect treatment for pimples. It can kill the microorganisms triggering pimples. It helps balance out the pH level of your skin, making it harder for microbes to flourish. Besides, being an astringent, apple cider vinegar is also good in eliminating excessive oil. 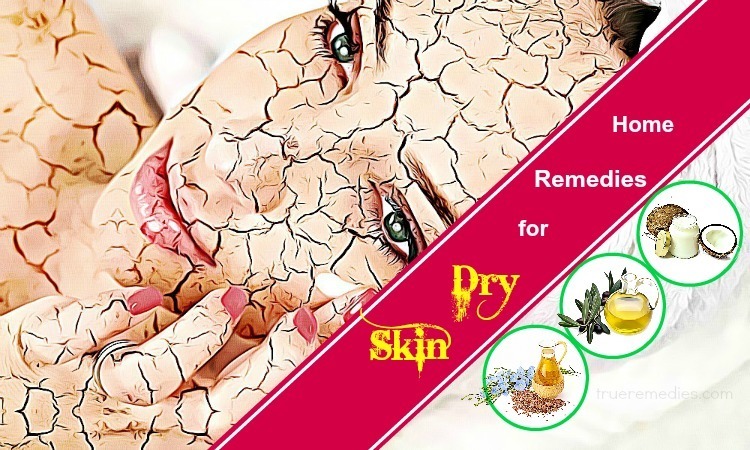 But, do not exaggerate it because it might dry out your skin excessively. Cinnamon is spicy and honey is sticky, but the combination of these ingredients will help you get rid of acne naturally. Cinnamon with its antimicrobial properties can stop bacteria from intruding your skin pores. On the other hand, honey is a natural antibiotic which can speed your healing process quickly. You should use Manuka honey which originates from the Manuka forest in New Zealand and haves amazing pain relieving and healing properties. 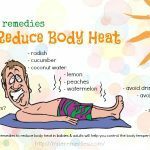 Note: You should apply the ice as many times as you can during the day to get positive results fast. Toothpaste can dry out pimples and decrease their healing time. The antibacterial properties of toothpaste play a crucial role in eradicating bacteria causing pimples . Especially, it could be used for pimples both on face and body, such as arms and legs. Toothpaste is suitable for normal, oily and combination skin. Note: You should use white toothpaste, not the gel-based one. Honey is well-known for its disinfecting properties, helping demolish the microbes in oil organs quickly. As a result, it serves boost the mending methodology. Just simply use a cotton ball to dab natural honey onto your affected areas, then leave it there for about 20 minutes before rinsing it off with warm water. Also known as melaleuca, tea tree oil, is considered one of the most recommended home remedies for acne and pimples as it possesses amazing microbial properties helping fight the bacteria which cause acne. In accordance with the study published in the Australian Journal of Dermatology, tea tree oil supplies positive results for those people with mild case without serious side effects. This study asked number of participants to use tea tree oil to their pimples twice per day for about 3 months with the evaluations conducted at 4, 8 and 12 weeks of using. The result was decreased, thereby making tea tree oil a good choice for how to get rid of pimples naturally fast . You can mix tea tree oil with coconut oil to have a good combination for treating pimples on nose and chin. Then, apply it over your face and leave it there for 20-30 minutes before rinsing it off with water. Warning: Avoid tea tree oil if your skin is sensitive. 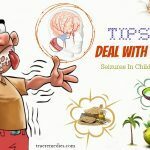 At first, you might feel stinging or discomfort, but it will disappear soon. Rose water has antibacterial qualities and acts as a skin toner that can reduce lemon juice’s acidic nature. Avoid letting lemon juice contact with your eyes. Test lemon juice on a small skin area first to prevent any reactions. Being known for antioxidant properties, tomatoes are also rich in vitamin A, C and K. These properties can dry out the pimples. Besides, tomatoes can close pores, thereby preventing dirt, bacteria, oil as well as dead skin cells from clogging them. The natural acid in this plant can restore the natural oil balance of skin. With high water content, tomatoes help moisturize skin, thereby leaving it smooth and soft. Not only that, tomatoes have some important minerals like potassium, iron and other nutrients which support the overall health and skin health and reduce the formation of scars. Even, tomatoes help prevent premature wrinkles and fine lines. Grind a tomato and use it as facial mask. You can also make use of tomatoes by taking one medium-sized tomato and slice it. Then, put a slice right directly on your affected areas. Oatmeal helps exfoliate skin to eliminate toxins causing acne while lemon juice kills off bacteria causing breakouts. Blend them till you get a smooth mixture. Add water if the paste is too thick. Note: If you want to treat pimples on back, then add mint to reduce inflammation. 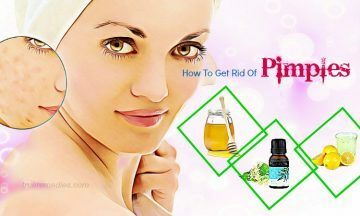 This method on how to get rid of pimples is very powerful for your skin, especially when you suffer from pimples and blemishes. The steam helps open your skin pores and let your skin breathe. Also, this helps in removing dirt, oil and bacteria trapped in the skin pores which cause inflammation and infection. 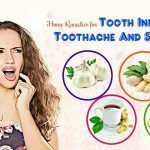 For many centuries, garlic has been a great traditional fold treatment which is claimed to have powerful antiviral, antiseptic and anti-fungal properties. It is also used to reduce the severity of pimples and acne. Garlic is said to have the most powerful antioxidant out of any other natural food, even more over papayas and oranges. This ingredient is most potent if consumed raw. You can crush the garlic cloves and add them to your recipes. Eating raw garlic every day can purify your blood. Yet, do not eat too much because it might upset your stomach. Or, if you can’t stand its smell, simply soak peeled garlic cloves in milk for about one hour to reduce it. In Ayurvedic medicine, garlic is reckoned effective for eliminating acne scars and drying out acne if used topically. Because the mixture is diluted, it will not irritate your skin, but if you still experience burning sensations, stop using it. Another efficient home remedy for those who are looking for how to get rid of pimples is baking soda. It is used to exfoliate skin, removing dirt, excess oil and dead skin cells. Baking soda has anti-inflammatory qualities, helping soothe redness and swelling associated with pimples. 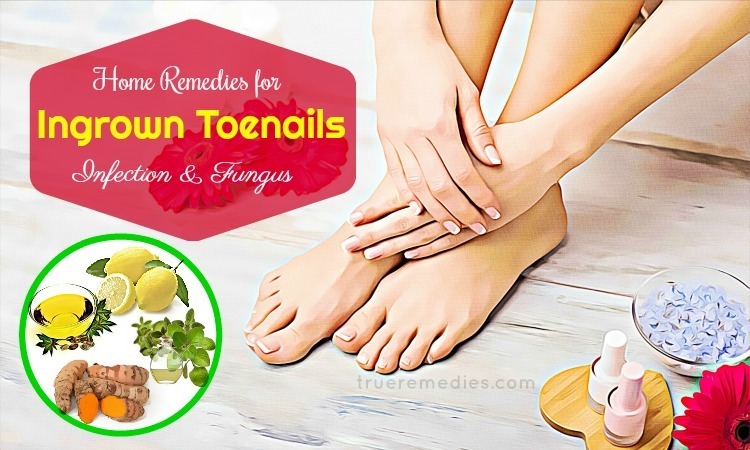 Also, it calms down the flare-ups and soothes skin rashes irritation, as well as sunburn. Using baking soda also helps in fading pigmentation and acne scars. In addition, because baking soda is alkaline in nature, it can neutralize the pH levels of your skin. The idea of using baking soda for pimples and acne, actually, get a lot of mixed reactions. It is because the skin of each person is different and what works for some people’s skin may not work for others’. For the most part, baking soda is not harmful to use on the skin. But, it is better to do a tiny patch test before using it on a large skin area. Coconut oil will dissolve the excess oil in your skin whilst baking soda will eradicate them. All of these actions will support your acne fighting process . In addition to the methods introduced above, there are some other ingredients you can use to mix with baking soda for acne removal, such apple cider vinegar, olive oil, aspirin, oatmeal, milk, etc. Being the fruit with a lot of powerful properties, such as antioxidant, anti-inflammatory, papaya should not be skipped when it comes to how to get rid of pimples naturally. It is a good source of vitamin A and enzymes which can decrease inflammation and make your skin smooth and soft. Or, you can also make an exfoliating face mask by mixing crushed papaya with some honey. Apply the mask on your skin and wash it off after it dries out entirely. Not only is cucumber rich in vitamin A, C and E and potassium, but it also possesses soothing and cooling effects. Or, you can also grind a cucumber to apply the paste over your face. Rinse it off with warm water after 15 minutes to help eliminate bacteria and dirt out of your skin pores. Mint is a great solution for removing pore clogging oil. It can also clear acne before it starts. Just simply mix 2 tablespoons of the finely chopped fresh mint with the same amount each of oatmeal and plain yogurt. Apply the paste over your skin and wait for 10 minutes to wash it off with water. This plant is traditionally used to help speed up the wound healing process. Also, it is useful in preventing flu and colds. However, its anti-inflammatory and antibacterial qualities could also be resorted to fight acne. You can use echinacea tea every day as a face wash (add some tincture if you like) to help treat your pimples. Aspirin has salicylic acid which is good for acne treatments. Using aspirin will dry out your pimples and blemishes and decrease inflammation. To make use of it, you can mix a paste between 4 pills of aspirin and 2 tablespoons of water. Then, apply the paste over your infected skin and wash it off after 15-20 minutes. This method will help open your skin pores, eliminating dirt and excess oil naturally. Prepare1 tablespoon each of dry chamomile and organic honey, 1 teaspoon of lemon juice and 1 egg white. Or, you could also drink a cup of chamomile tea every day to accelerate the healing process. Chamomile is available in the dried, infusion, liquid extract, tinctures, essential oil form. Also, it is found in creams as well as ointments. Among solutions for how to get rid of pimples introduced here, witch hazel might be lesser-known. But, it does work amazingly for pimples and acne. Acting as an astringent, witch hazel can naturally dry and shrink blemishes. In regard to origin, witch hazel is extracted from the leaves and bark of Hamamelis Virginiana which is native to North America. This plant has been used for centuries as a natural remedy for a lot of skin issues. Due to its amazing healing effects and astringent property, the extract of witch hazel could be added to many skincare products which are on the market nowadays. Also, witch hazel can help decrease inflammation and infection associated with acne. In order to reap its benefits, you can pour witch hazel on a clean cotton ball and use it to wipe your face every morning and night. Among tips on how to get rid of pimples naturally, aloe vera is highly recommended. But, it just works when combined with other ingredients. The reasons why aloe vera is good for acne treatment are many. It has gibberellins and glucomannan that improves collagen synthesis if consumed or applied. 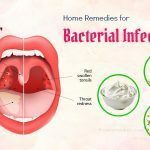 Also, there are hormones polysaccharides and gibberellins, which have anti-inflammatory and antibacterial properties helping fight off bacteria thriving in the clogged pores. It absorbs the excess oil from your skin and prevents clogged pores. Additionally, with rich content of carotenoids, flavonoids, catechins, carbohydrates and amino acids, aloe vera can help contract the human skin, therefore rending skin pores clean from dead skin cells, dirt and deposited sebum. Moreover, it purifies the human blood and stimulates skin cell growth to help heal damaged skin. Oiliness and inflammation of the skin could be handled by using a combination between calendula tincture and aloe vera. It can cleanse and closes enlarged skin pores. Another good and safe way to learn how to get rid of pimples is adding acidic foods to your daily diet. Acidic foods such as vinegar or citrus fruit juice can flush skin pores. Just simply dab some of them on a cotton ball and apply it over your acne areas. Wait for 20 minutes to wash it off with water. This is a blue-green algae bursting with a lot of nutrients and gamma-linoleic acid (GLA). This is an essential fatty acid having anti-inflammatory properties which are good for removing acne and pimples. You could purchase spirulina at many health foods stores and add it to your smoothie. Omega-3 fatty acids possess anti-inflammatory properties which could improve acne condition. You can get the benefits of omega-3 fatty acids by taking a multi-nutrient capsule containing fish oil or adding more albacore tuna, walnuts, flaxseeds and salmon to your daily diet. Having bleaching properties, potato is also a natural remedy for pimples. You can boil a medium-sized potato and apply the paste of it on the affected area. This will eliminate hyper-pigmentation while preventing wrinkles and lightening skin. Yes, you can use oatmeal for acne removal. This ingredient can help clean skin pores and absorb excess oil. After cooking some oatmeal, you take it out and mix it with honey and lemon juice in order to have a consistent paste. Apply the paste over your skin and wait for 30 minutes to wash it off with tepid water. Neem or Indial Lilac is great for treating pimples and acne thanks to its medicinal qualities, be it antibacterial, antifungal, antiseptic and anti-inflammatory. You can make a paste between grinded neem leaves and water. Then, put turmeric powder into the paste and apply it over your affected skin. Rinse it off after drying. One of the best treatments for pimples is mint which can work on any kind of acne due to its medicinal properties. Take fresh mint leaves and crush them to mix with water. Apply it on your skin for 20 minutes and wash it off. Repeat the process thrice per week. Or, you can apply mint juice by using a cotton ball on your affected skin. Turmeric is a common ingredient in our kitchen. This plant also absorbs additional oil from skin and combats infecting bacteria. You should take some turmeric powder and mix with some crushed neem leaves. Then, apply that mixture over your affected skin area for about 30 minutes. After drying, you wash it with water. You could also make a facial pack by combining ½ teaspoon of turmeric powder with 2 teaspoons of yogurt. Then, add a small amount of honey into, stir them well to get a consistent paste. Apply that pack over your face and rinse thoroughly after 30 minutes. For those who want to remove acne scars, nutmeg powder could be mixed with honey. This also reduces swelling associated with acne. The combination between sandalwood and rosewater is very soothing for your facial skin. Not only that, the antimicrobial properties of sandalwood can clean your face and gives its glowing effect. Having antiseptic agent, alum acts as a natural and styptic deodorant. You just need to take a piece of alum and gently rub it on acne. As a result, this will promote the healing process. Alum is good for oily skin and considered one of best great natural home remedies for back acne. Banana peel is an interesting tip on how to get rid of pimples you should not skip. The lutein presenting in banana peel acts as an antioxidant which boosts the cell growth naturally. Rubbing a banana peel on your facial skin could reduce redness as well as discomfort associated with pimples and acne. It may sound bizarre, but it totally true that the use of chilli peppers can reduce acne swelling. You can crush some chillies to get a powder and add some water into. Use a cotton swab to apply the mixture over your acne. Note: You should not use it on the areas around your eyes. The next tip on how to get rid of pimples introduced in this complete list is almond powder which is able to cure not only acne but also blackheads. Just simply prepare some almond powder and put it in a bowl, followed by some rose water. The paste gotten should be smooth and consistent. Apply this paste over your problematic skin areas. After 15 minutes, wash it off with cool water. Apply the paste over your clean face and wait for 20 minutes to rinse it off with warm water, followed by cool water. Or, you can combine coriander with lemon juice to get a blackhead-busting spot treatment. Generally, basil leaves are used for cooking in Asian countries. Nonetheless, not many people aware that it also possesses antioxidant, antibacterial and anti-inflammatory properties. 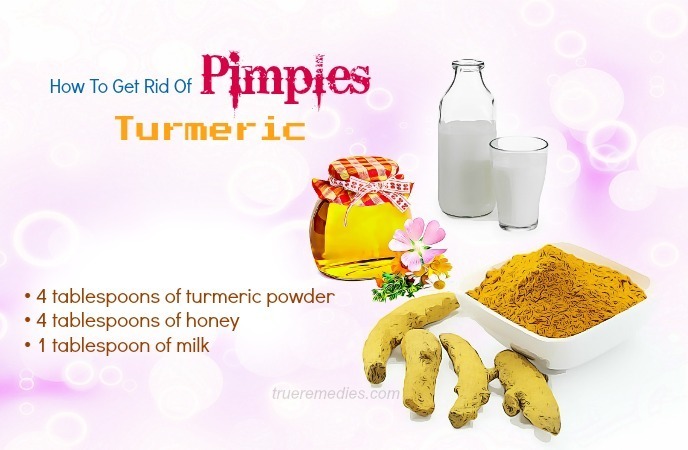 Thus, it is commonly used for treating pimples and infections. 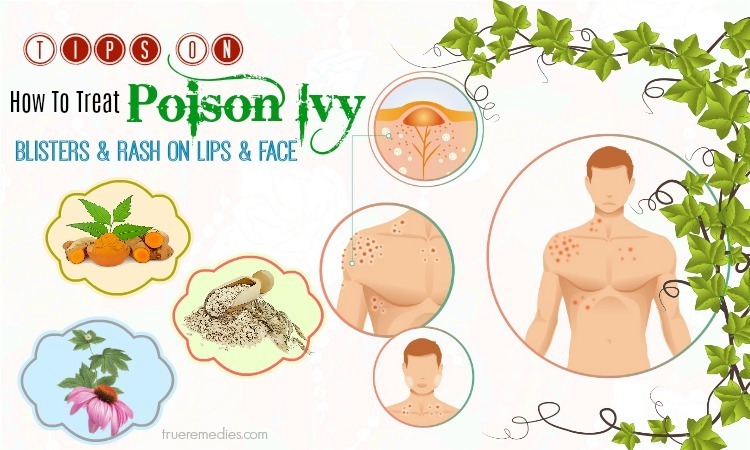 This plant plays a big role in taking control of swelling and redness of the pimples. Well, this is a very simple, but effective tip to remove pimples. By taking 10 – 12 glasses of water daily, you could remove most, if not all, impurities out of your own body. This essential oil is a favorite of many women thanks to its anti-inflammatory and antibacterial properties which are great for all skin types. This oil is ideal for acne-prone skin. It invites new skin cell growth, reducing the appearance of scars. Besides, it prevents or eradicates bacteria, part of what results in acne at the beginning. According to a study carried out by researchers in the Department of Dermatology at the University of Freiburg in Germany, using frankincense along with 5 other plant extracts proved the effectiveness of antimicrobial effects on yeast and bacteria related to the human skin. Also, this oil is used topically to deal with some other skin disorders, including eczema . Having antibacterial and anti-inflammatory qualities, castor oil can speed up the healing process, making it perfect for acne-prone skin. 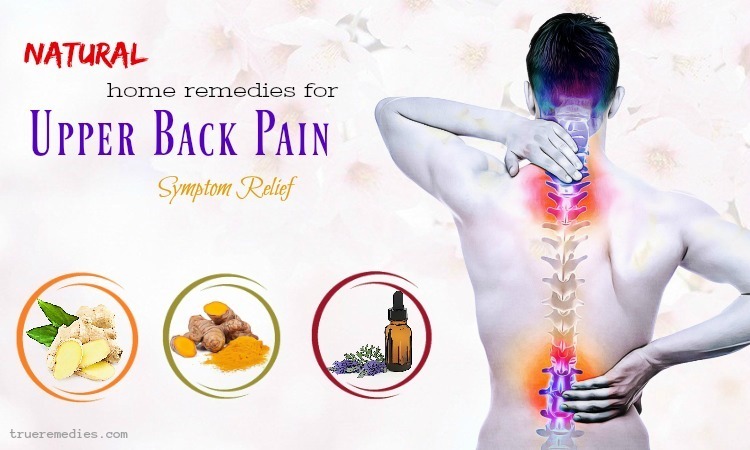 It can be combined with hemp seed oil, jojoba oil or coconut oil to get extra effects. It is also rich in vitamin E, unsaturated fatty acids, minerals and proteins, which could decrease acne-causing bacteria as well as inflammation accompanied with pimple breakouts. Even, it can prevent acne scars. You can use castor oil for treating mild case of acne because it supplies moisture to your skin while helping it produce less oil, part of what causes acne . Wash your pillowcase: you should wash your pillowcase once per week to prevent future breakouts. Wash your hands carefully prior to using any of the remedies above, especially those requiring direct contact between your face and hands. This will help limit the spread of bacteria and dirt. Use some treatments at a time for 1 week to see how effective they are on your complexion. But, do not use too many of them concurrently. Have a well-balanced diet plan and make sure that you consume foods rich in antioxidants like vitamin A, C, E, selenium, iron and zinc. If the pimples do not disappear overnight, you should not be discouraged. Patience and consistency are required in regard to learning how to get rid of pimples. There you have discovered 56 effective ways on how to get rid of pimples overnight fast and naturally. Remember that acne is different for everyone, but there are still some solutions for having clear skin. These are natural remedies so it might take a little time from you to see what works for you, but positive change could affect your life greatly. It is always better to seek natural solutions for treating pimples as opposed to conventional treatments coming with adverse side effects. For any contributing ideas about this topic, leave your comments below this article. To know more information about health and beauty issues, visit our How To page.